Hobart 210 VS 190: Which One Is The Right For You? So I’m at the end of my day and I’m sitting here at my local neighborhood coffee shop (I know, I know, but I sometimes need a break from all the delicious cream ales and IPAs) and I started to think about welders. I’ve done reviews in the past on the 210 MVP and the 190 – but I never compared the two. I thought this would make for an interesting comparison because I can tear them both down and look for the details that make them different. Big News: we are going to get right to the “meat” of these welders because they share many of the same features. So to give you the most useful information possible we are going to explore some common questions around these welders so you have a quick and easy buying resource when you want to pick a new welder. We’ll break that down in a few sentences, but first, let’s look at the 190 while we are breaking down the specifications. So there you have it – this is the “off the box” statistics that you can read on any website. I provide them here so you can see them side by side, so your not clicking through 100 tabs to compare. But let’s dig a little deeper than some surface information and see what all this means. What is the biggest difference between the two machines? That’s a great question, and to answer it we have to break down a few key differences. The first is our power source. The 210 MVP comes with two plugs – one for 115v power and one for 220v power. This is included with the purchase and is a simple twist on the plug. The machines recalibrate itself based on the power it’s plugged into- so that’s a sweet feature. What’s more is that the 210 MVP gives you more options than the 190. You can take the 210 to a buddies garage and weld up some yard art – or build a BBQ of your dreams. The 190 runs off 230v only. So, unless you have a dedicated line in your home- this machine is sitting in the shop. The total amps on this are not a big deal – with the 210 your only going to get a 1/16 more in your thickness capability. So I don’t even want you to look at that… Yes, I see you looking at those Amps…but focus on the fact you can use the 210 in more places than the 190. If I purchase the spool gun, do I need to buy anything else? Outside the spool gun and some aluminum wire, you will need one more thing: gas. Remember: when MIG welding with gas you’ll need Argon/ CO2 mix (most common). With aluminum, you’ll need a tank of pure Argon. You can get that at any local welding supply store – and here is a pro tip: Don’t ever buy a tank. Most places will lease you one for a few bucks a month and then you can swap it out when its empty. Much like your BBQ propane tanks. If you buy a brand spanking new one they (usually) will not refill it – they simply give you a beat up one full of gas. Do you recommend any upgrades? Yes. As spotted in the reviews (and I’m going to say I told you so) the clamp is terrible. Upgrade it here. I also haven’t recommended this in the past but will be going forward. A dust cover. Really. I recently cleaned out my machine and OMG – the dust inside this thing was crazy. Get a cover and extend the life of your machine. Oh, and since I was on a cleaning kick in my shop, I wanted to read up on some electric pressure washers and found this helpful. Lastly – a good hood. You can start with a good auto darkening basic hood or get a great hood after you been at it for a while. Is either of these Hobart welders good for beginners? Well, yes and no. I think a newbie can use either of these machines with ease provided they have the right power. I also like the fact you have taps instead of digital readouts ( less to break). Would I recommend this for a total beginner? It’s overkill. You’re spending your hard earned cash on a machine that is way too powerful… you just don’t need it. 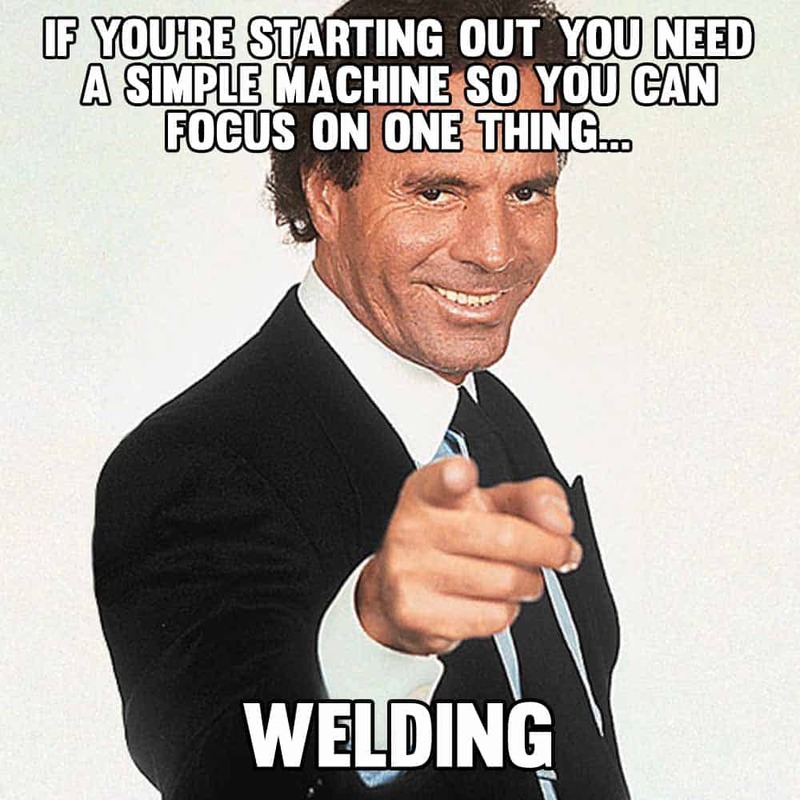 You could get a Hobart 140 and save some cash to see if you even like the process of welding. I will say that the 210 MVP is good for light industrial. I have one in the back of my truck – the 210v and 115v make it ideal for a lot of welding situations I come across. The 190 is a good machine – but I would skip it. With the 210 I get so many more options for a small cost to upgrade. What makes Hobart such a recognized and trusted brand? 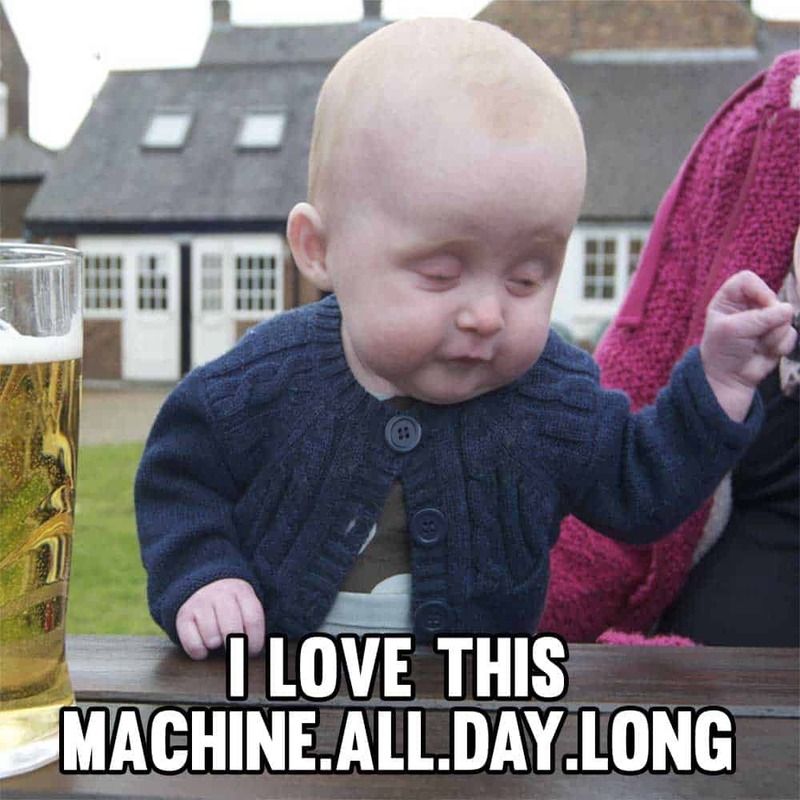 Hobart has been producing machines for many years, so they are a trusted brand that’s been in the market. They back up their products with the 5/3/1 It’s solid and one of the best in the industry. The build quality machines. The workmanship is solid and you know this machine will last. If I had to choose a one of these Hobart I would go with the 210 MVP. The option to use 220v really helps move the needle into more industrial applications, which I need. And the 115v is great for really small home applications if I need the machine. The 190, for the money just isn’t worth it. It’s a good machine no doubt – but step up to the 210 or down to the 140.